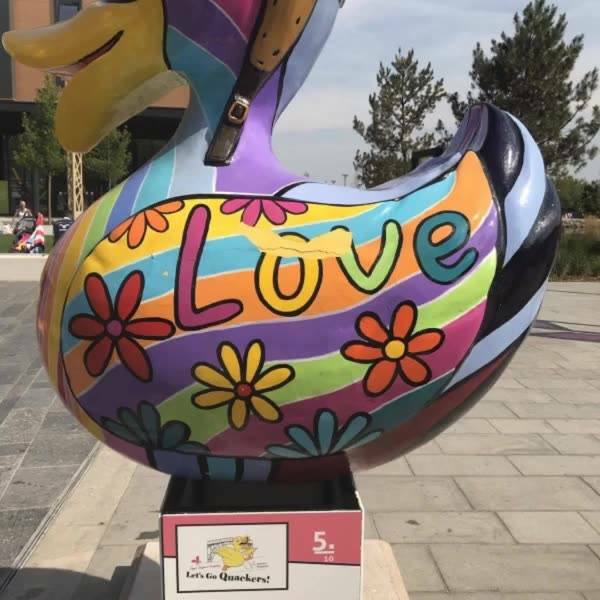 The ten huge ducks currently on display around Southwater are due to be auctioned off for charity soon, but three have sustained damage. 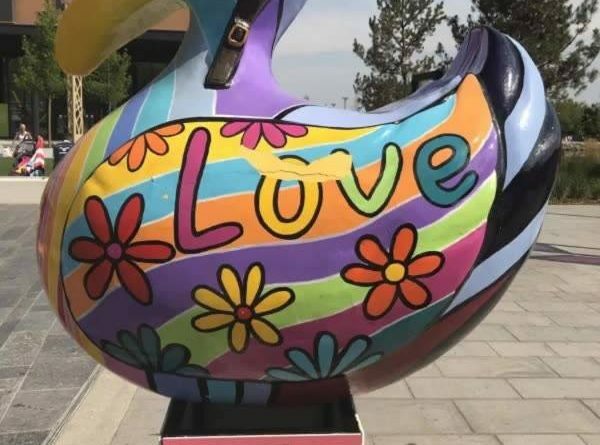 The ducks are bringing a lot of fun and colour to the town but people are urged not to try and climb on them because they are not designed as play equipment. The damage has to be repaired before they can go for auction and the cost of this comes out of the money that will go to charity. Can’t have anything nice can we ? They were damaged at Ironbridge too. We found all 10 today and were followed by many kids try to track all 10. TELFORD COME ON WE ARE BETTER THAN THIS!!!! Why can’t people just stop being arseholes!!! And respect and have pride in things so annoying!!! All the ducks have signs asking people not to climb on them. As for being next to bars and pubs; the people using those facilities are all adults. They should know better than to commit acts of vandalism. If a few drinks turns them into vandals with no respect for public property then they should seek professional help before they end up in prison! This is why we can’t have anything nice…. You guys think they can respect ducks? They can’t respect graves or monuments, the ducks were doomed from day 1. This is unquie to telford. When they had the wallace and gromits in Bristol 3 or 4 years ago several were damaged by idiots. People cannot leave anything alone. A few too many Lemonades and they think it’s fun to damage something designed to celebrate the town where get live, also you have little wannabe gangsters and mindless morons who think it’s fun to damage such a celebration…. no respect! Every duck does say please do not climb/sit on. Yes 2 are near a pub/bar – which as majority of customers are adults we hoped they would not cause them damage.